Mount Abu is a popular hill satation in the aravalli range of rajasthan.Arubada devi temple is situated at the top of this hill.Arbuda devi Temple is inside the carved mountain and can reach the temple by climbing 365 steps. Arbuda devi is belived to be the incranation of Katyayani Dev,the sixth goddess.It is said that the image of goddess durga can be found hanging in mid air. This temple has a unique significane that the whole temple is built in one solid rock and one of the famous rock cut temples in india. 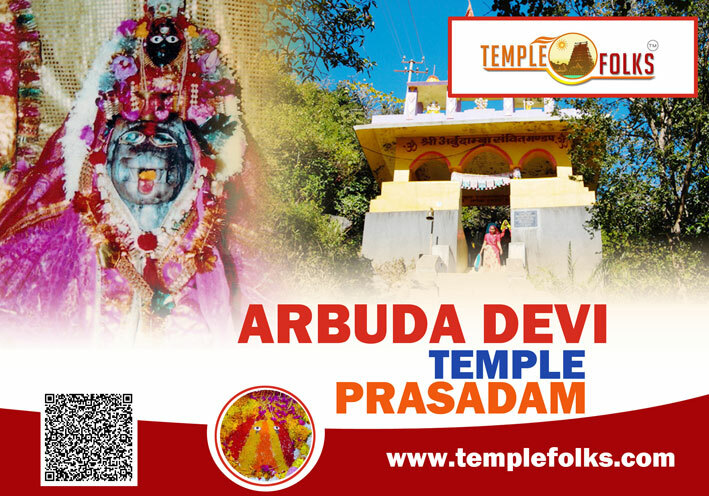 A snake named "Arbud" brought Nandivardhan on its back to this mountain, and he was booned by Muni Vashishtas that 33 crores of gods and goddess will reside upon you, and thats why this temple was established here. The temple has a unique architectural style which signifies the cultural heritage of rajasthan. Navarthiri is one of the main festival celebrated in this temple.During this festival lot of devotees will come across the state and worship the devi.